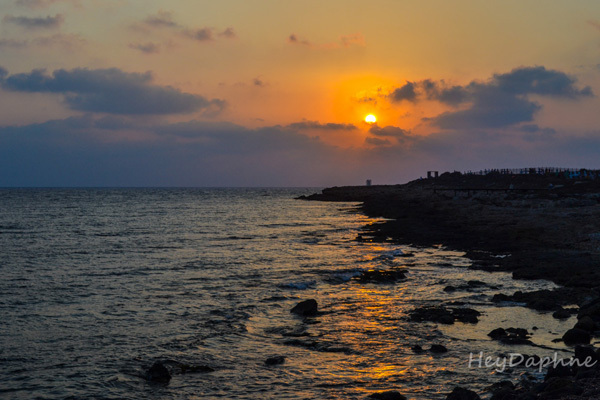 The city of Paphos is one of the most popular destinations not only in Cyprus but in the entire Mediterranean. For 2017, Paphos is Europe's Cultural Capital, and so those who have visited it this year or intend to do so will have the opportunity to attend some of the very interesting cultural events taking place in the area. 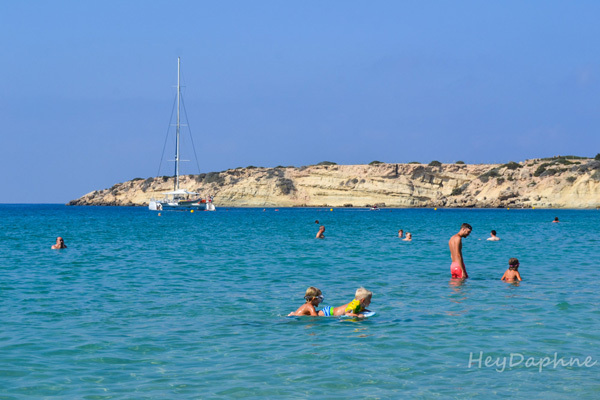 But what is it that makes Paphos so popular among tourists? 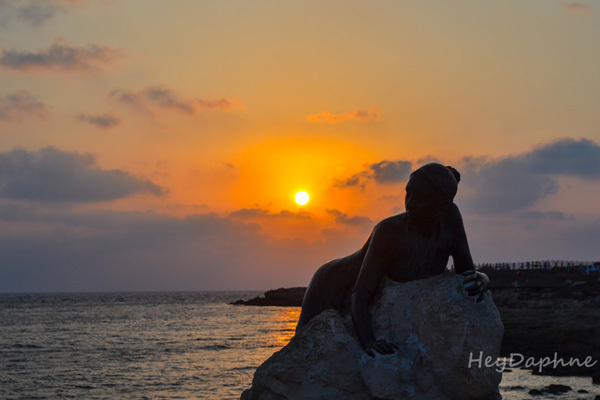 Maybe they are the same reasons they did Aphrodite, the greek ancient goddess of love and beauty, to choose Paphos as her birthplace. Perhaps the reason is this stunning natural beauty, the crystal clear blue beaches, the warm weather and the summer that seems to hold forever. Or maybe the reason is that this small corner of the planet has a history so rich, beginning 10,000 years ago, from the Neolithic age and continuing the same striking over the centuries. 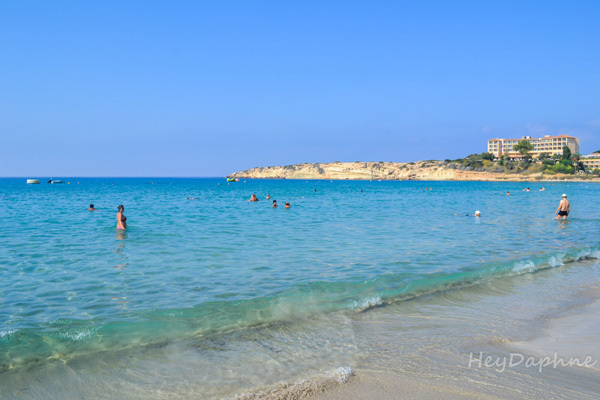 Whatever is this that will attract you to Paphos, I have prepared for you a list of the best 10 + 1 things to do in the city. 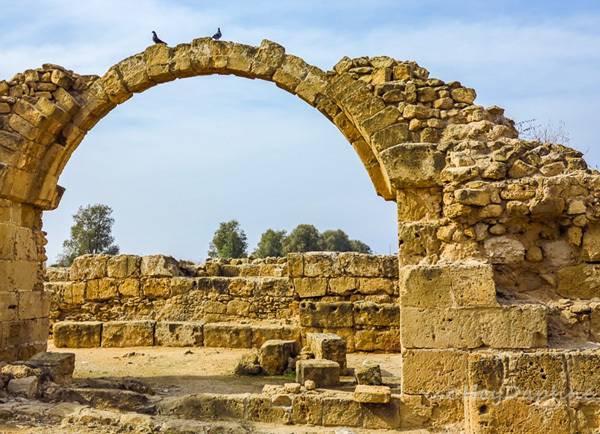 The Archaeological Park of Kato Paphos belongs to the Unesco World Heritage Sites since 1980 and is one of the most important archaeological sites in Cyprus. It includes ruins dating from the Middle Ages to the Roman Empire, with mosaic floors in the villas of Dionysus, Theseus, the Aion and Orpheus to be the most popular. 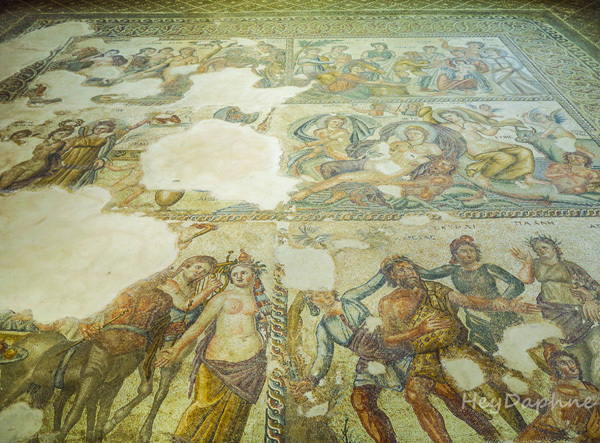 The mosaics were discovered accidentally in 1962 by a farmer who plowed his field and depicted mainly scenes from Greek mythology. 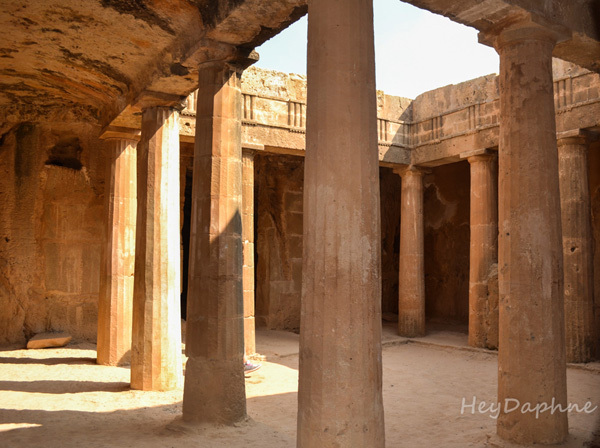 The park covers a fairly large area and you will need around 3 hours to see all the monuments so it would be nice to visit the archaeological park early in the morning to avoid the crowds of tourists but also the heat. 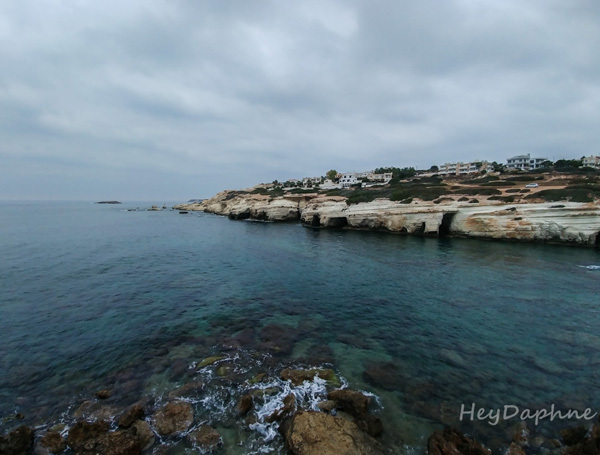 Paphos is divided into two levels, in Kato Paphos which is the most touristic area of the city and in Pano Paphos or else the "Ktima" as the locals call it. If you want to get a more authentic flavor of the city and see how locals live, you definitely have to spend a few hours in Pano Paphos. 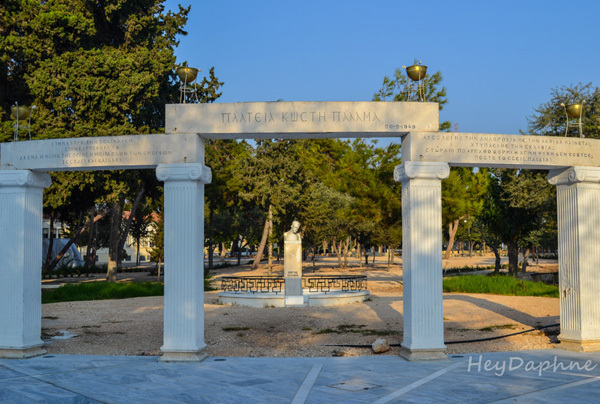 Explore the streets of the center, take a stroll from the municipal gardens and the beautiful square of Kostis Palamas, walk to the pedestrianized neighborhood of Laiki Gitonia, admire the beautiful school complexes and finally visit Moutallo, the Turkish-Cypriot neighborhood. The hiking Avakas Gorge was by far the most impressive experience during our trip to Cyprus. It is located about 20 km away fromPaphos and towards the end of the route the road becomes quite difficult since it is a rather narrow dirt road. After we left the car at the end of the road, we had to walk for about 30 minutes to get to the end of the gorge. The route is not particularly difficult, but at some points you may have to go through the water, which of course did not happen to us as it was September and the water was minimal. Σήμερα η μέρα μας ξεκίνησε με πεζοπορία, η οποία κατέληξε εδώ, 📍Φαράγγι του Άβακα. It was a hiking day today.. And this was the destination, 📍Avakas Gorge, Cyprus. 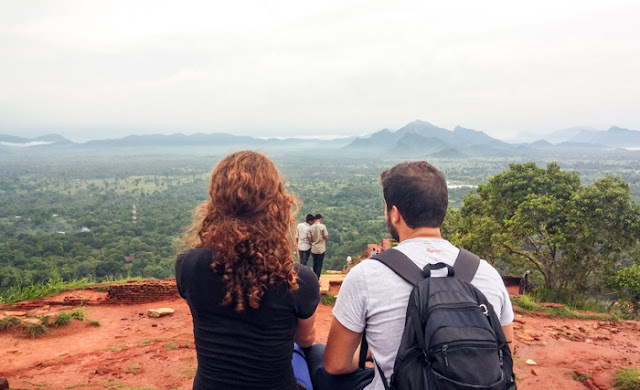 As we proceeded to the end, the landscape became more and more impressive, with nature having created a real sculpture masterpiece on the huge limestone rocks. The height of the canyon reaches 80 meters at its highest point, where the light that penetrates is scarce, and if you look up you are really enchanted. 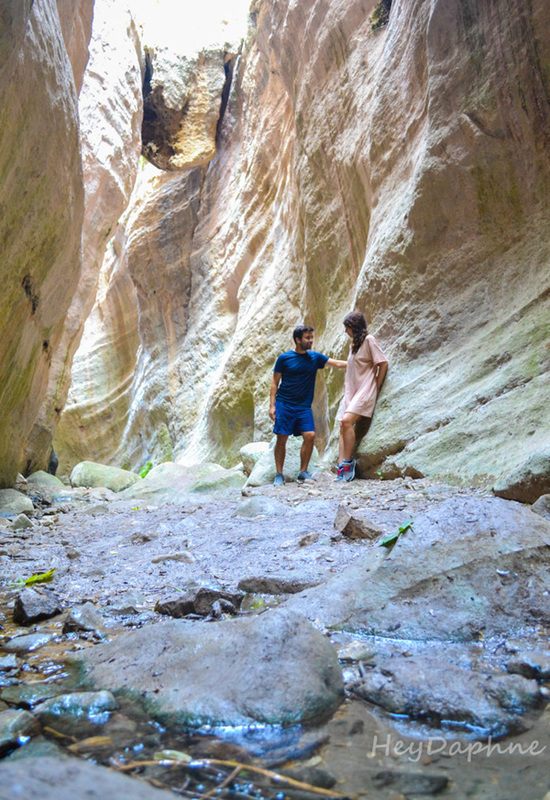 Despite its stunning beauty, the Avakas Gorge is not particularly advertised due to the frequent landslides that occur in the area. On the evening of October 7, 2011 the ship Edro III with Sierra Leone's flag left from Limassol port to Rhodes. 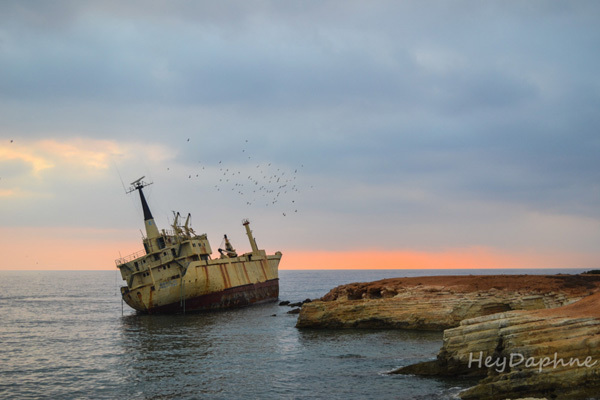 Due to the strong winds, the ship hit the rocks and drifted off the coast of Peyia about 15 kilometers outside Paphos. The wreck is now a major site attraction of the area. Visit it just before the sunset to enjoy one of the most magical sunsets of the island and combine it with a cocktail in the beautiful Oniro By the Sea bar which is right next to it. The shores along Peyia are quite rocky, creating impressive sea caves of enormous geological interest that make the landscape look almost unreal. 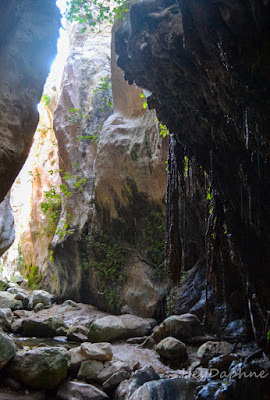 Just 200 meters from the shipwreck of Edro III you will see some of these caves, while the spectacle becomes even more impressive if you continue to the chapel of Agios Georgios of Peyia (Geronissos). 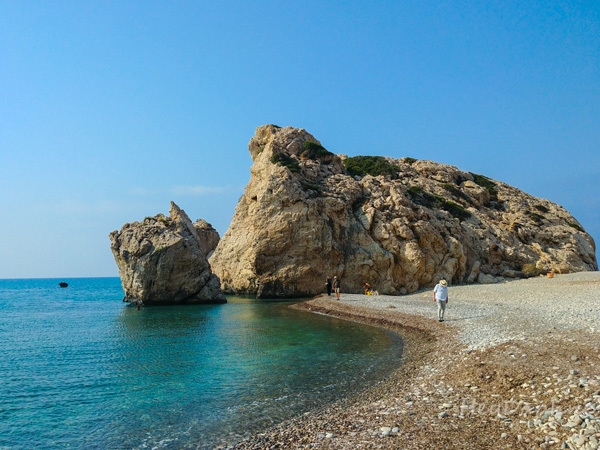 The coastline of Pafos is more than 50 kilometers long, including about 27 beaches. 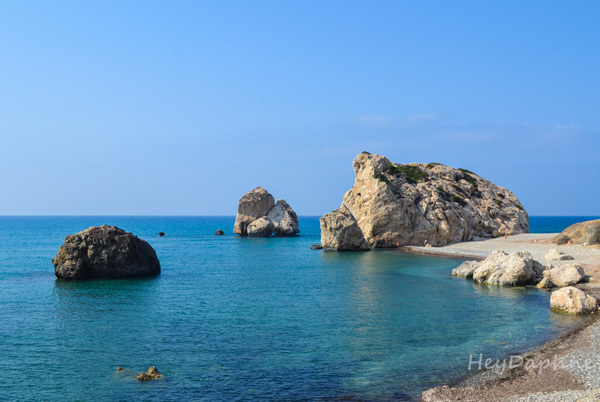 The Coral Bay is, in my opinion, the most beautiful beach in Paphos, about 25 minutes from the city center. It is a large, organized beach that literally sinks from the crowd. We visited the beach at about 10 am and was already difficult to find an umbrella. The waters are blue, warm, very shallow and crystal clear, while the beach is covered in fine sand. 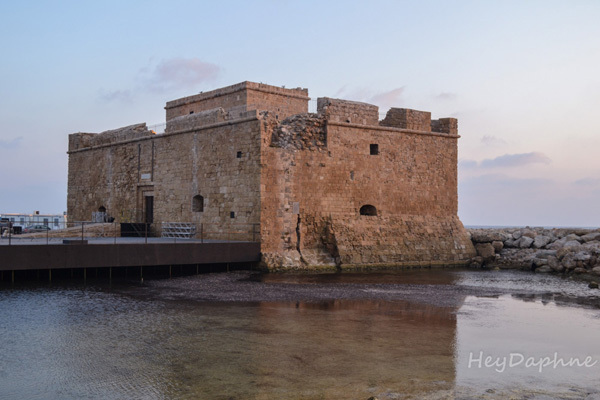 Paphos Castle is located at the port of the city, in one of the most beautiful spots of Paphos. The Castle was built to protect the city during the Byzantine period but was largely destroyed by the earthquake in 1922. Since then the castle has been repaired and destroyed several times as it passed from the Lutzians to the Venetians and from the Turks to the Britons. The best time to visit the castle is in the afternoon to combine it with a walk on the coastal pedestrian street during the sunset sunset. 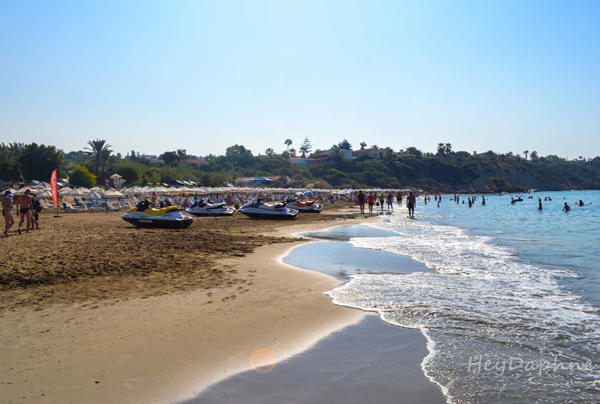 25 kilometers outside of Paphos, on the border with Limassol province, is located one of the most famous places in the whole island. 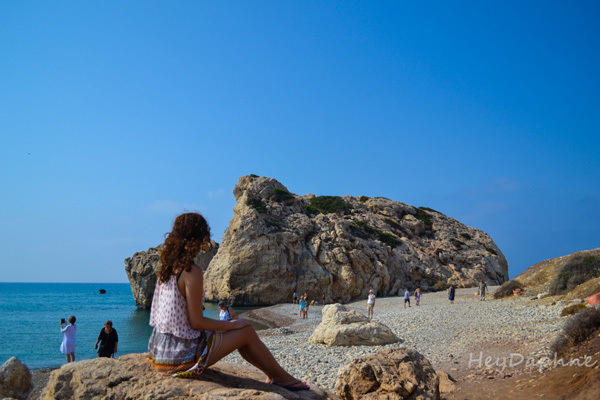 Petra tou Romiou or Aphrodite's Rock, where, according to mythology, greek goddess Aphrodite emerged through the waves and a shell brought her to the beach. The area took its name from another legend, according to which Digenis Akritas (a greek mythical hero) prevented the Arabs preparing to plunder the area with its unrealistic power. With one hand he was caught from the Kyrenia mountain range, thus forming the "Pentadactylos", the five mountain peaks, while with the other hand he lifted a huge rock and threw him into the sea against the Arabs who were trying to land. 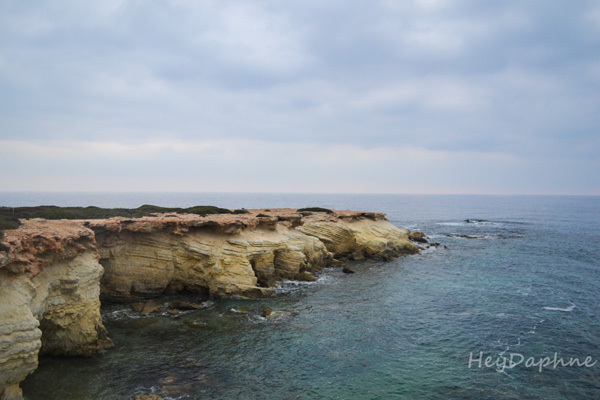 This rock still exists today, giving its name to the beach, which is one of the most beautiful and special beaches of Paphos. 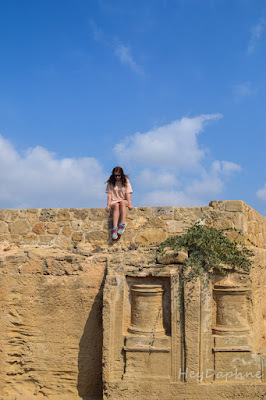 The Tombs of the Kings are part of the Archaeological Park of Kato Paphos and date back to the 4th century BC. These are impressive underground graves that are carved on the rocks, while some of them are decorated with Doric columns. 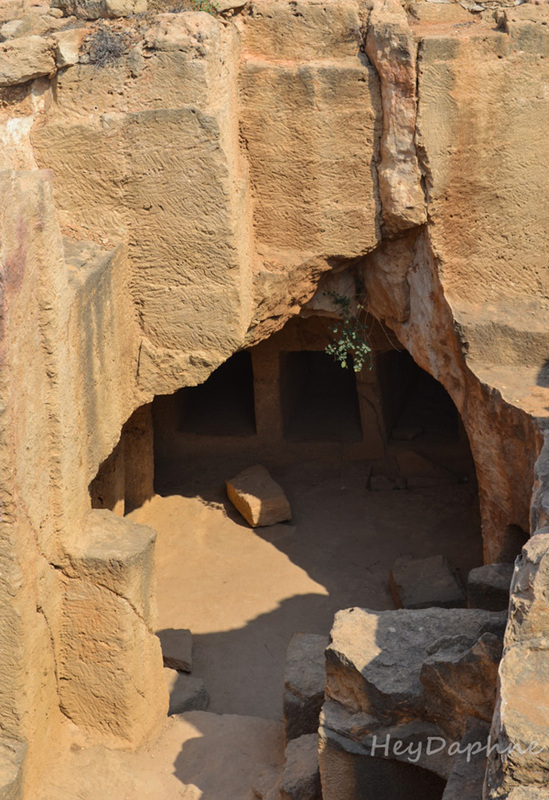 They were not tombs of kings, as you maybe expect from their name, but graves of high-ranking officials, that resemble many of the graves that have been found in Alexandria, Egypt. 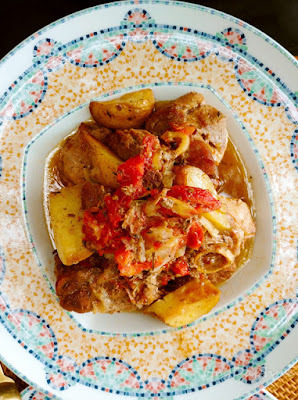 In most areas of the Mediterranean there is a tendency to accompany the wine with various appetizers. If you've been to Spain you've definitely been drinking your wine tasting a variety of tapas, or if you've visited Italy, you've been drinking at least one aperitif by snacking some buffet. In Cyprus, however, the concept of meze has a completely different dimension. 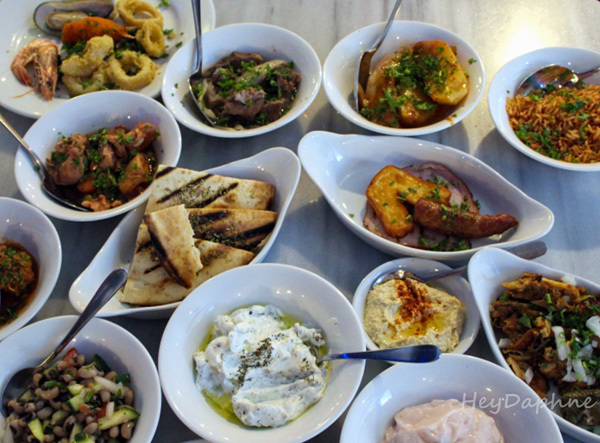 The first time we tried Cypriot meze, was at 7 saint Georges restaurant in Paphos. We sat down and ordered just a bottle of wine when a range of authentic Cypriot flavors, including hot baked bread, olives, hummus, eggplant salad, greek salad, roasted peppers with honey, eggs with greens, moussaka, stewed veal, chicken cooked in tomato sauce, kleftiko and many more, was coming on our table until we say stop! 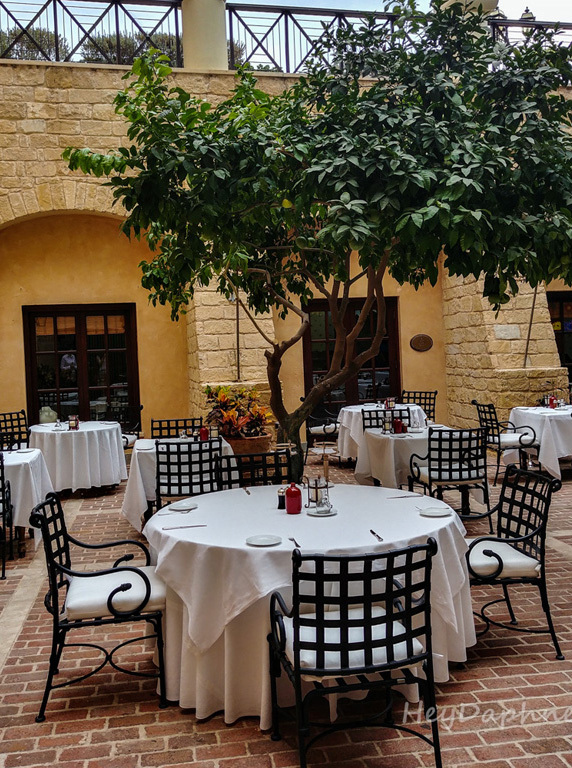 The philosophy here is to try small quantities of the region's most famous dishes, ranging from salads to appetizers and main dishes to sweets. 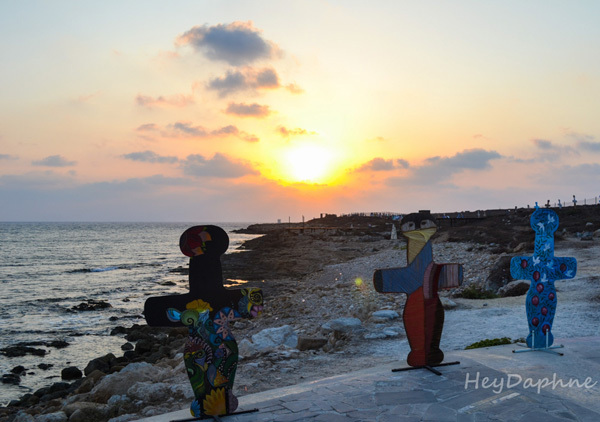 The first thing I did when I landed at Paphos airport was to visit Elysium Hotel. 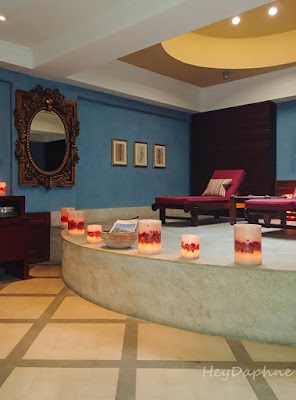 Although I did not stay at this hotel (I will definitely do it the next time), I spent much of the day relaxing in the hotel's splendid spa. 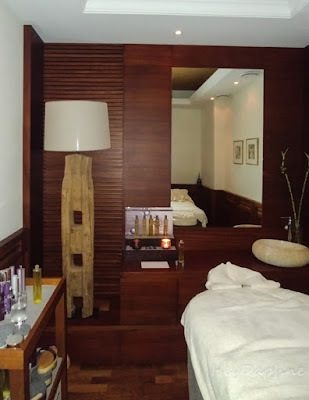 Besides, if we do not relax and care for ourselves during our holidays, when will we do it? The hotel's Opium Spa offers various treatments such as facials, massages, aromatherapy, hydrotherapy and many more, while in the spa area you will also find a huge indoor swimming pool as well as a sauna. 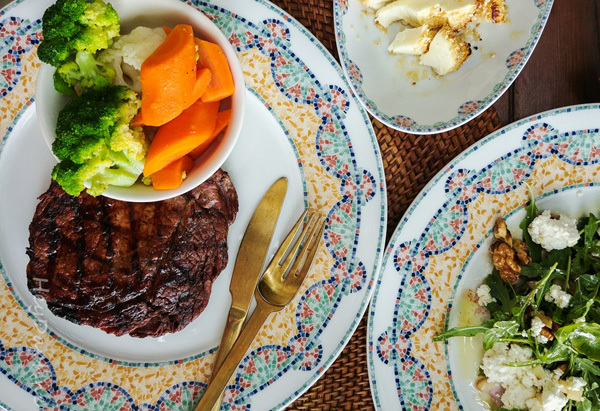 And in case you feel hungry after the spa, you do not have to leave the hotel, since Elysium has 6 amazing restaurants. We chose to taste Mediterranean flavors in the Mediterraneo restaurant, but I would also highly recommend the Italian restaurant, Bacco. 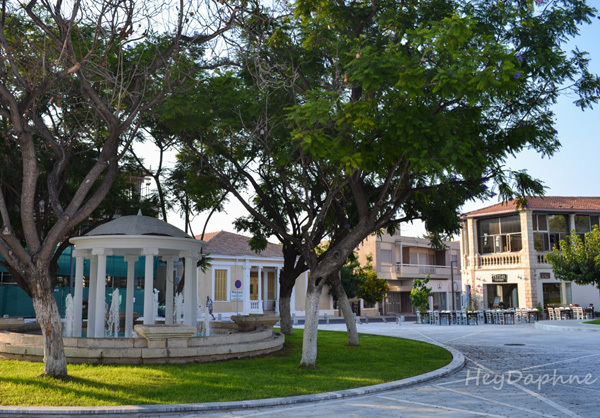 The Elysium Hotel is located on the beach of Paphos, next to the Tombs of the Kings. If you choose to stay here, the rooms rates start at 250 euros, while there are many options from double rooms with sea view, to maisonettes decorated in Cypriot style and villas with private pools. Disclaimer: I was a guest of VisitCyprus & Elysium Hotel. As always, all opinions expressed are my own!